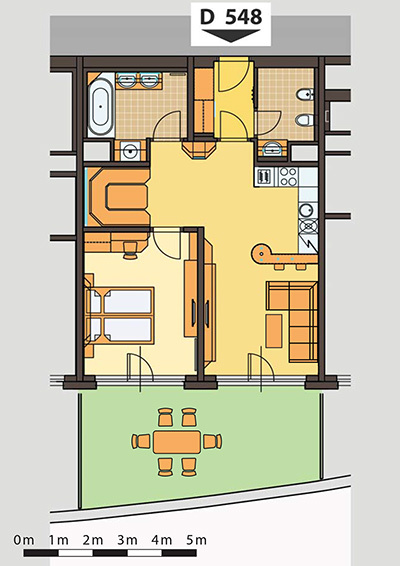 We offer to rent a spacious, fully furnished apartment in Prague. 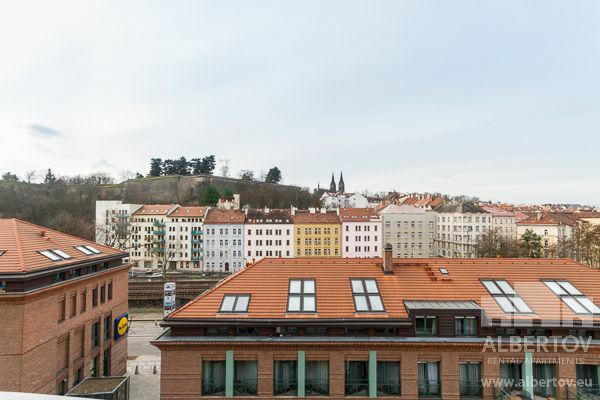 The apartment is furnished with modern furniture, high-quality wooden heated floors and a spacious balcony overlooking Vysehrad. The apartment consists of a living room with a fully equipped kitchenette where you will find all modern appliances such as dishwasher, electric oven, glass ceramic hob, microwave and fridge/freezer. The kitchen is separated from the living area by a bar counter. The dining table with unconventional lighting is nicely positioned in the corner and completely separated from the living room. Guests are sure to appreciate the possibility of a pull-out sofa bed. Satellite TV and fast Wi-Fi internet connection is satisfactory. Wine lovers will appreciate the vine fridge that is part of the apartment. For well sleep, the spacious, gray-blue bedroom features a high-quality anatomic mattress. It is also equipped with a TV and a practical desk. The glass-wall with the possibility of entering the balcony of the bedroom . The advantage of the apartment is a separate toilet with a bidet. For a pleasant shower, the bathtub in the bathroom is equipped with a shower curtain. Two sinks with LED lighting are an advantage. With no doubt there is a washing machine and underfloor heating. The apartment is located on the 5th floor of Albertov Rental Apartments in a quiet part of Prague near the center.